It’s been a while since we’ve done anything with paracord on the Knife Blog. 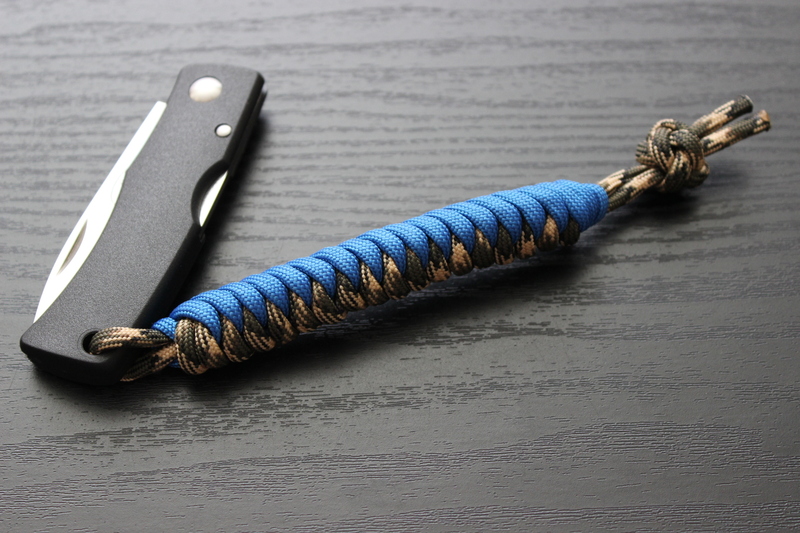 Since we did a handle wrap in the last tutorial, I thought we’d do a lanyard today. 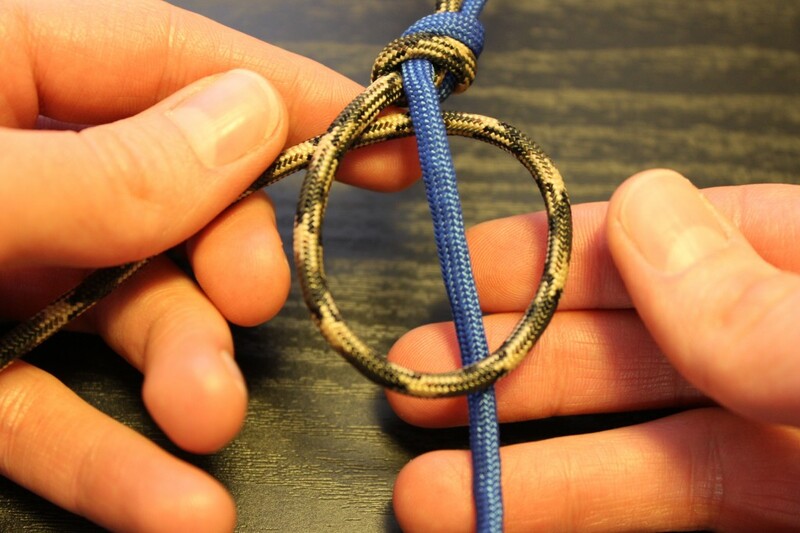 The snake knot is super easy to do once you get started. Honestly the hardest part is just getting it set up, but once you get started, it’s the same simple pattern over and over again. 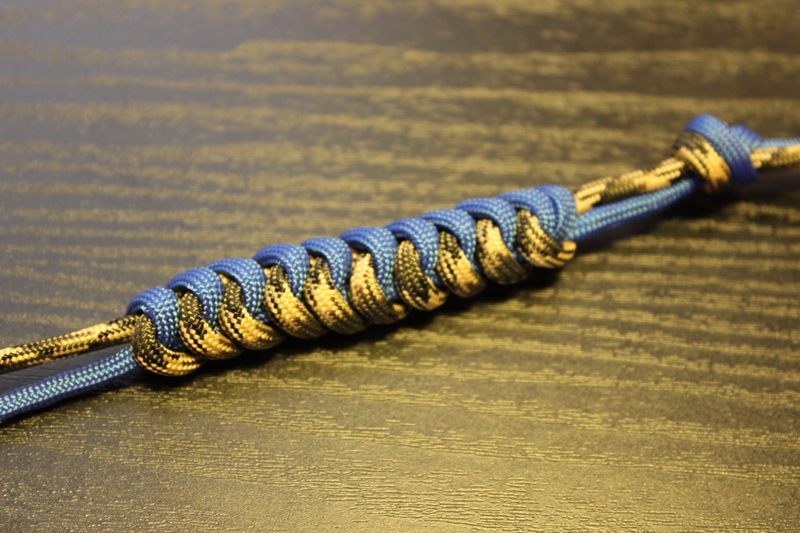 I’m not a paracord expert by any means, so if I can make this lanyard, you definitely can too. The knife in the pictures is a Fallkniven U2, which is a little slim for this lanyard, but it’s what I had around at the moment. 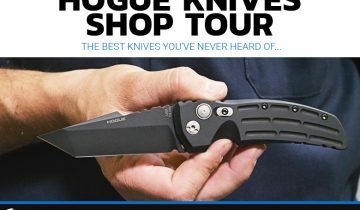 A larger knife would probably be better suited for the snake knot lanyard. 1. 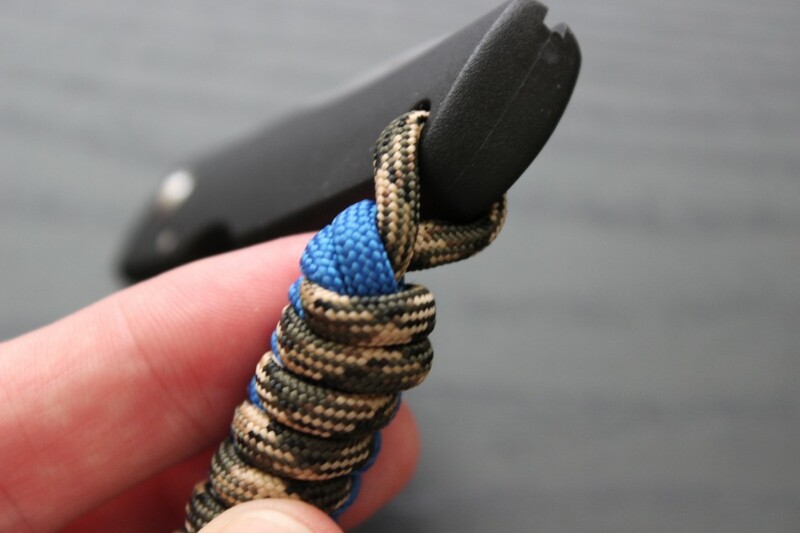 Using your knife, cut the paracord to the right length. 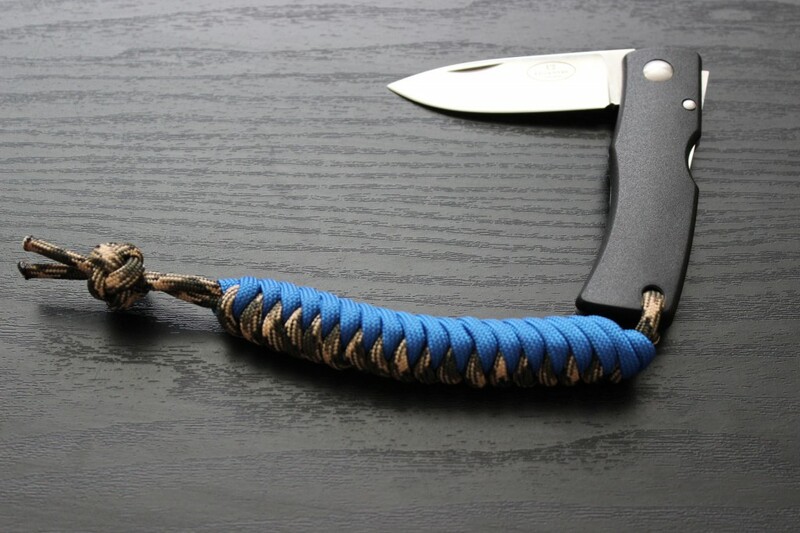 If you’re going to attach the lanyard to a knife, one of the pieces of paracord needs to be longer than the other. The lanyard I made was about 6 inches long when it was finished, and I used 5 feet of blue paracord and 6 feed of the camo paracord to make it. 2. 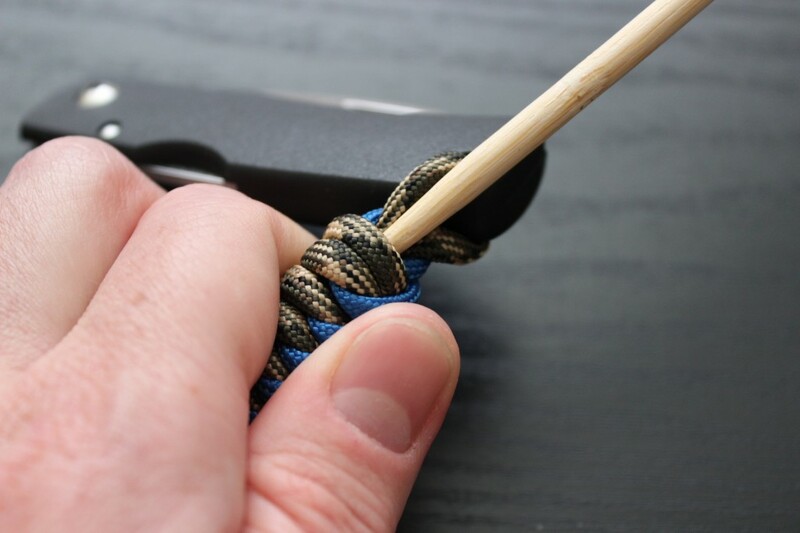 Melt the ends of the paracord by waving a lighter over them. This will help keep the “guts” in and also make it look a little neater. 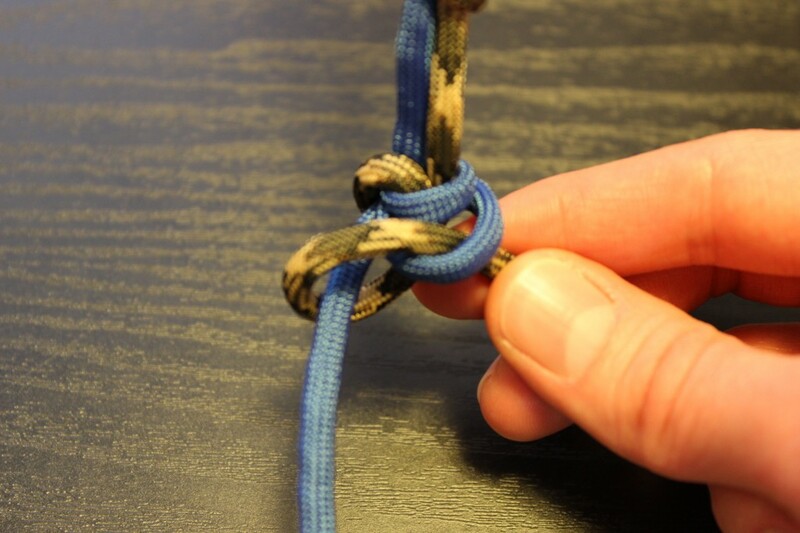 It’s basically just a knot that uses two pieces of paracord rather than one, so think of it that way if you’re not familiar with double overhand knots. 4. 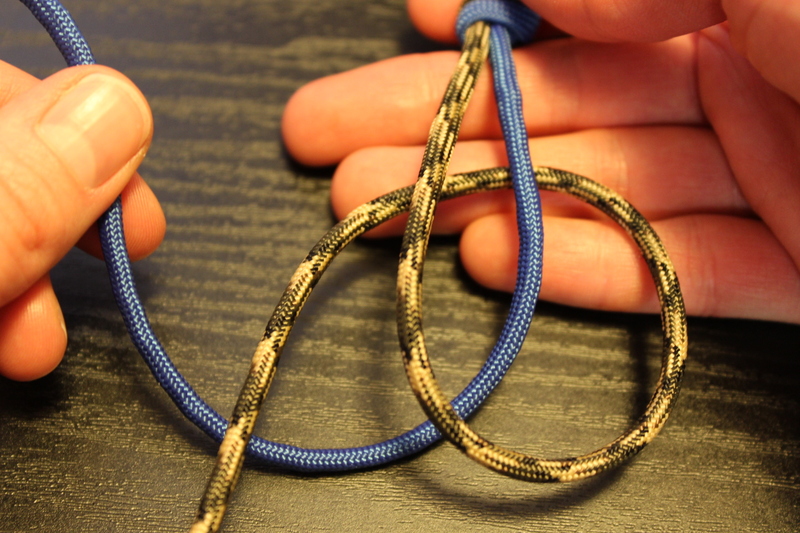 Take the piece of paracord on the left and loop it around with the end of the paracord going behind the top of the cord. Make sure the paracord on the right remains completely behind the loop you just made. 5. 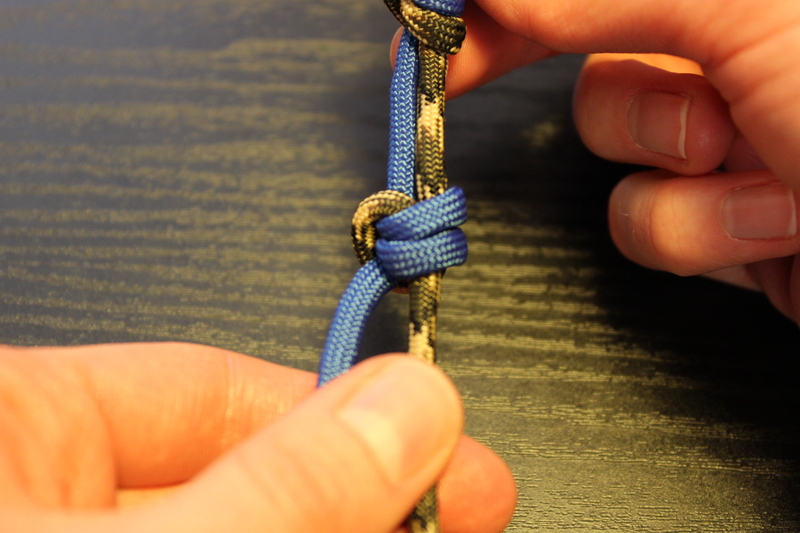 Then move the paracord on the right around to the front and pull it through the loop you made. 6. 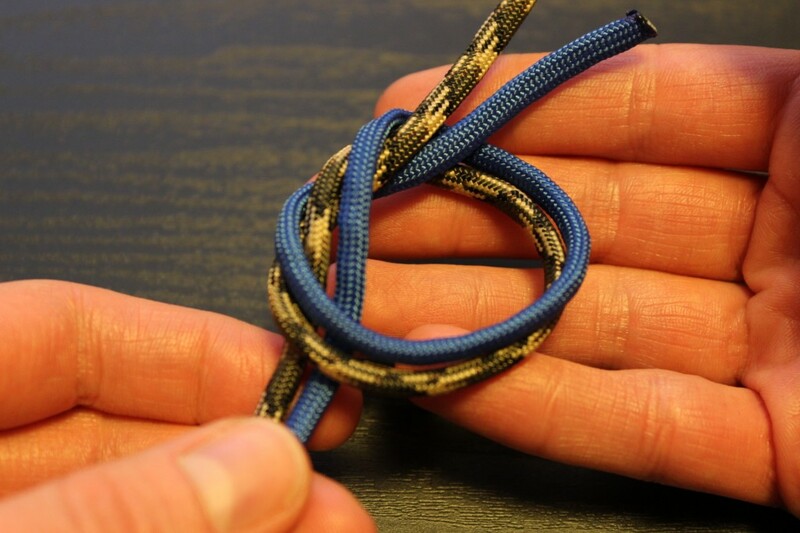 Grab the paracord that’s going through the loop. 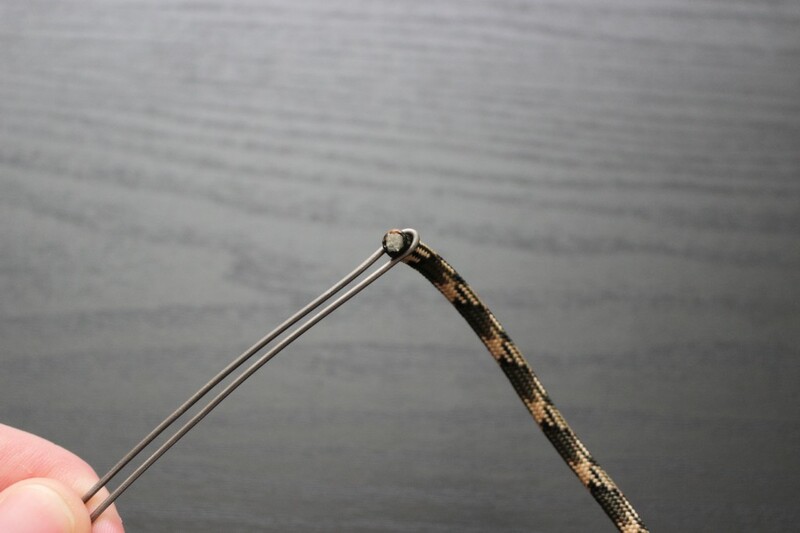 Bring it behind and to the left of the paracord that’s forming the loop. Bring it up, over, down, and through the loop on the right. Pull it tight. 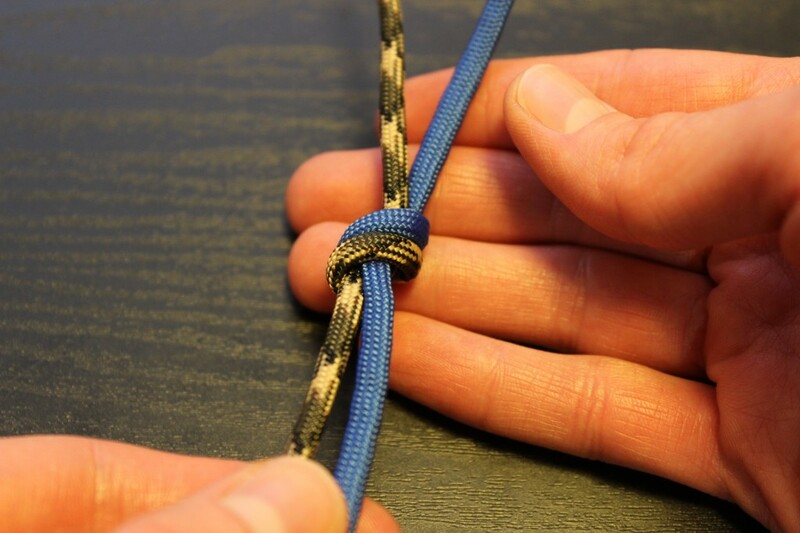 You’ll want the beginning of the lanyard to be close to the double overhand knot you made. The hard part is done! From here on out, it’s easy peasy. Now on to the pattern you’ll be following for the rest of the lanyard. 7. Loosen up the “stitch” that’s on the right. In this case, it’s the camo paracord. 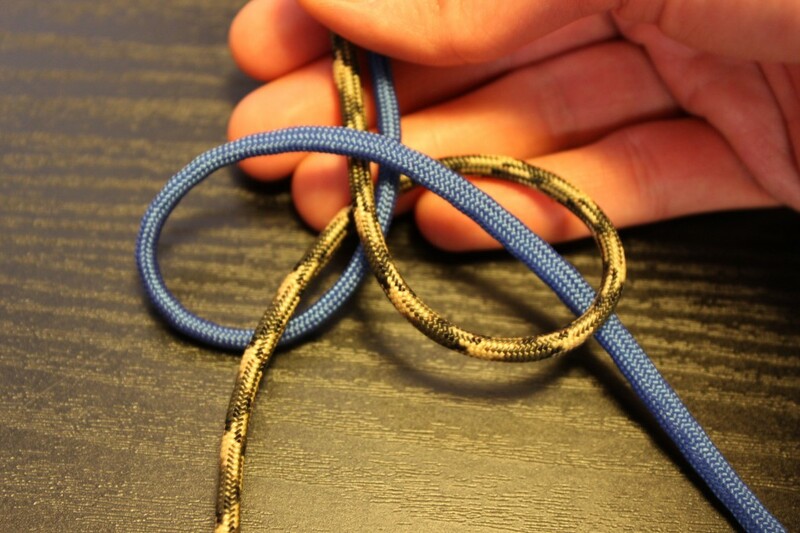 Then, take the paracord that comes down and through that stitch (for me it’s the blue one), and bring it around back, up, over, and through that stitch that you just loosened. Make sure to tighten it. 8. 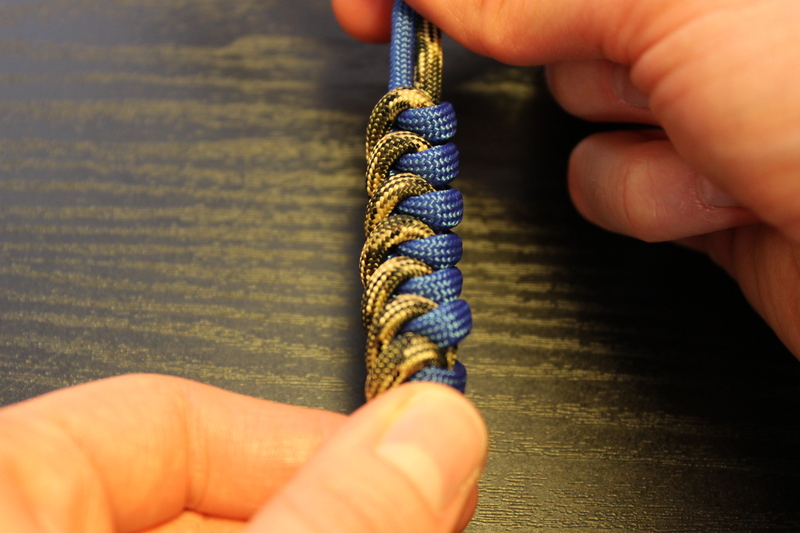 Flip the paracord over. Everything should look the same, but reversed. 9. Do the same thing you just did on the other side. 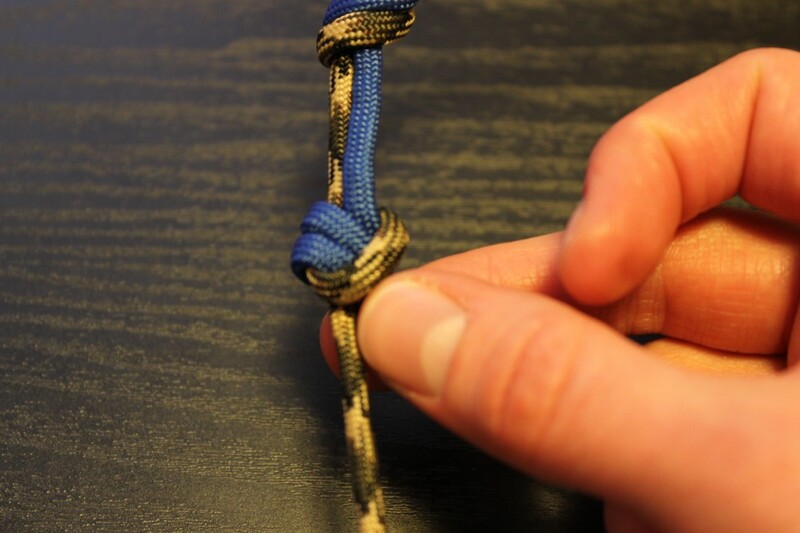 Loosen the last stitch on the right, and pull the paracord on the right (that’s coming down and through that stitch) to the back, up, around, and through the stitch on the right. You can stop once the lanyard is as long as you want it to be. I looked around for ways to attach your snake knot lanyard to a knife but had no success, so this is what my husband and I came up with. I’m sure there are other, possibly better, ways to do this, but here’s how we did it. We used a thin piece of wire and a chopstick for this part, but anything you have lying around that’s similar will work great. We definitely improvised on this. 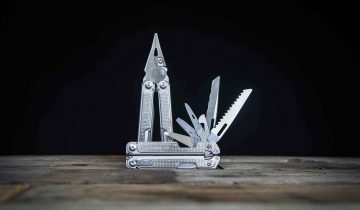 We put the longer piece of paracord through the lanyard hole on our knife and then pulled it down through the middle of the lanyard. We also pulled the shorter cord (the blue one) as far as we could down and and through the lanyard. If you already know how to go about this or if you have a better way, have at it! 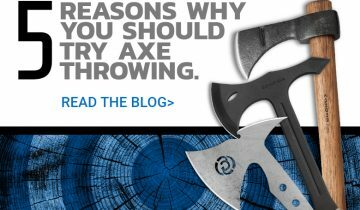 If you would like further instruction, read on. 1. 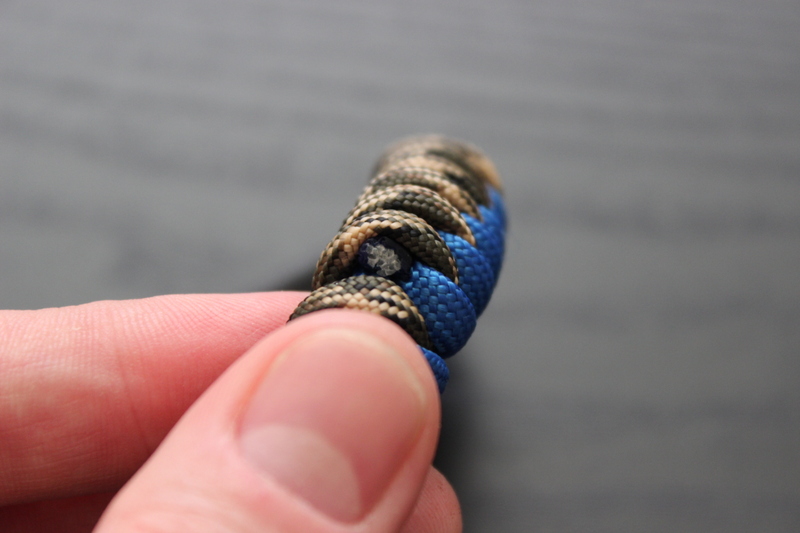 “Thread” the longer piece of paracord through the lanyard hole. 2. Use the chopstick to make space down the lanyard for the paracord you’ll be pulling down. 4. 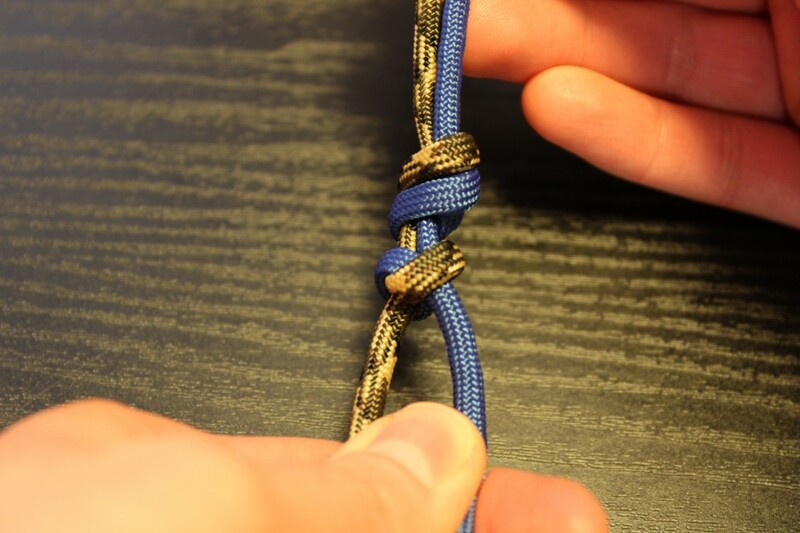 Without pulling the second piece of paracord through the lanyard hole, pull it down the inside of the lanyard in the same way you pulled the first piece of paracord through. If it looks like it will be too long, feel free to trim it to a more manageable length first. We only had an inch or two that we pulled inside the lanyard. 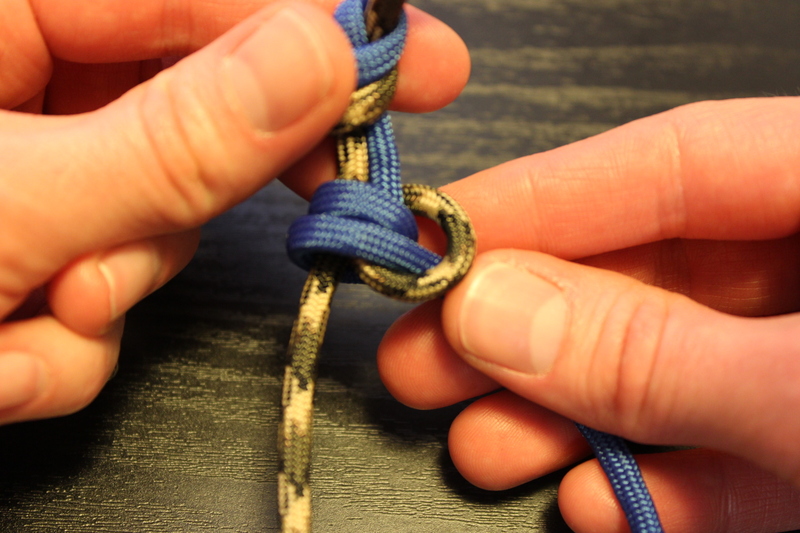 The snake knot really isn’t bad once you get started. 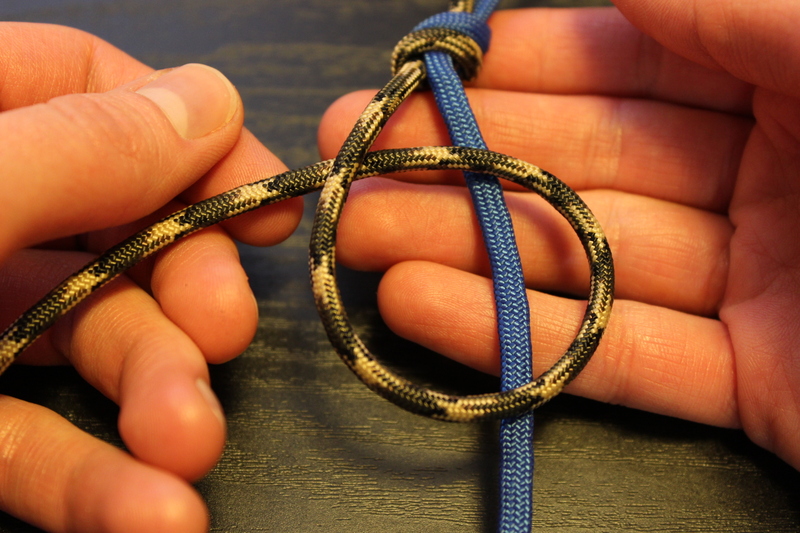 If you’re a paracord fanatic, or if you’re looking for an easy place to start using paracord, try out the snake knot! 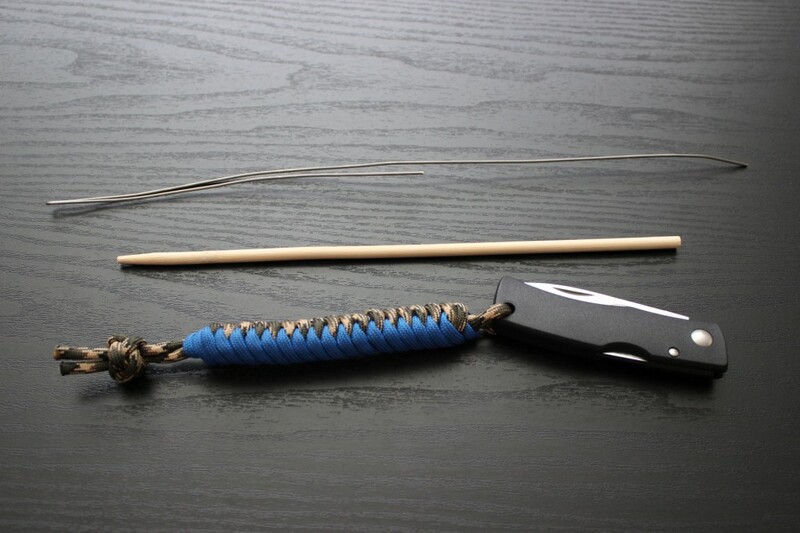 It’s easy and it allows you to have paracord handy should you need it. 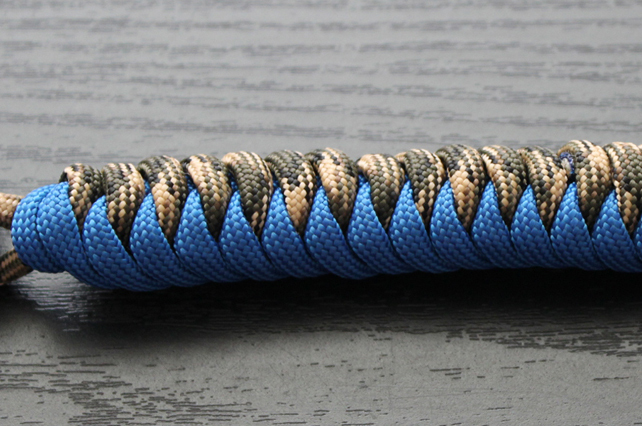 We’ve got lots of paracord available at Blade HQ. 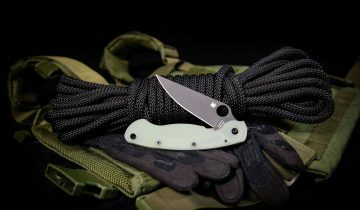 Get some and give your knife some paracord love!